Annabel is fighting a severe and very rare neurological disease called AHC. A cure is in reach. We can help her fight back. What would you do if your child were diagnosed with devastating disease with no cure, no effective treatment, and minimal funding for research? This is our reality. There is hope, however. 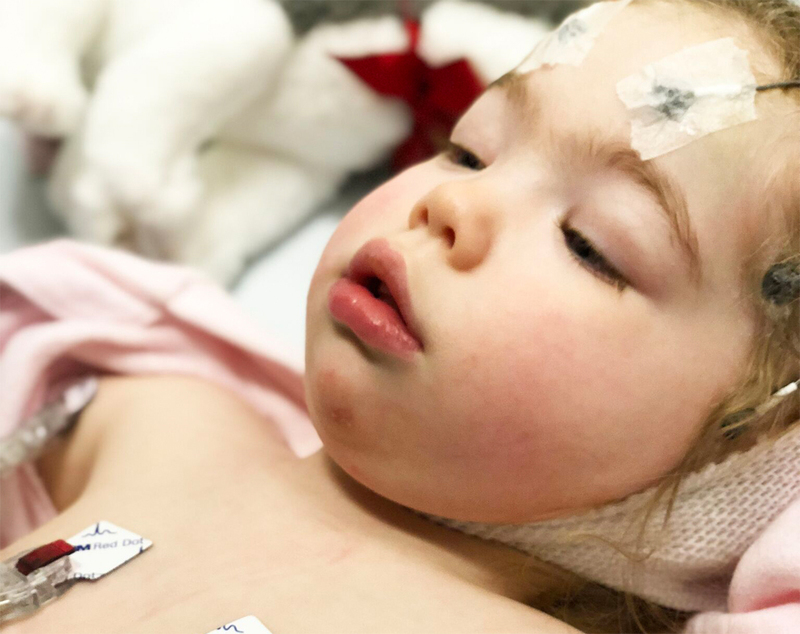 The path to a cure for Annabel, and for countless other children suffering from genetic disorders, is gene therapy. Annabel is a curious and affectionate two year old, who loves her family, hopes to be just like her big sister, and always wants to read The Wheels on the Bus. She also suffers from a rare neurological disorder called Alternating Hemiplegia of Childhood (AHC). Every three or four days, Annabel has an “episode,” much like an epileptic seizure. These episodes can include paralysis, painful dystonia, or uncontrolled muscle spasms, and a reduced level of consciousness, and can last for days. Each time she has an episode, there is a chance that her brain is damaged. Over time, brain atrophy can rob her permanently of the hard-fought progress she has made. While her speech, motor and cognitive function are significantly delayed now, they are likely to be compromised further as she gets older. Many AHC patients also suffer from a severe episode that causes sudden and irreversible degeneration: they are left bedridden and unable to talk, for the rest of their lives. In other cases, failure in the autonomic nervous system related to AHC can cause sudden and unexplained death. We don’t know if or when this will happen to Annabel. AHC is a very rare condition, with only 300 known cases in the United States. Annabel’s specific genetic mutation has only been identified in two other patients in the world. With so few AHC patients, Annabel’s hope for a cure is limited: there simply is not enough research or enough funding underway to find a cure in time to change her life. Annabel was born in September 2015. She was small, but perfect, and we fell in love with her immediately. Moments after her birth, however, she exhibited her first symptoms of AHC.